The Fed has announced in its September Federal Open Market Committee (FOMC) meeting that it will maintain a zero-interest rate policy, but plan to raise rates at some point this year. This comes as no surprise to Denver-area high net worth (HNW) investors, as reported by recent findings from the Morgan Stanley Investor Pulse Poll of 1,003 US HNW investors ages 25 to 75 with $100,000 or more in investable household financial assets. 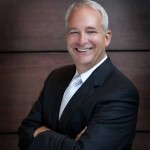 The poll included 300 HNW investors in the Denver Metro Market. and its decisions impact the performance of the US economy “a lot.” Another 48% say the Fed has a “major” effect on their investment decisions. Nearly half (47%) report following the Fed and its decisions at least somewhat closely. And two in three (65%) are aware of Janet Yellen. Of those who know the name, 39% approve of the job she’s doing as Fed Chair. However, even more (45%) neither approve nor disapprove or are unsure (9%), suggesting somewhat of a lack of familiarity. When it comes to interest rates, two in three (67%) expect the Federal Reserve to raise interest rates between now and mid-2016. Of those who predict a rise in interest rates, most expect an increase of either 0.5% (30%) or 0.25% (27%), while one in 10 (11%) are unsure. HNW investors overall are somewhat split on how large of an increase will be acceptable: 39% say either 0.25% or 0.50% and 46% say 0.75% or more; 16% are not sure. There is also no clear consensus on whether it is a good or bad idea to raise rates: 32% say good, 32% say bad, 22% say neither and 14% are not sure. 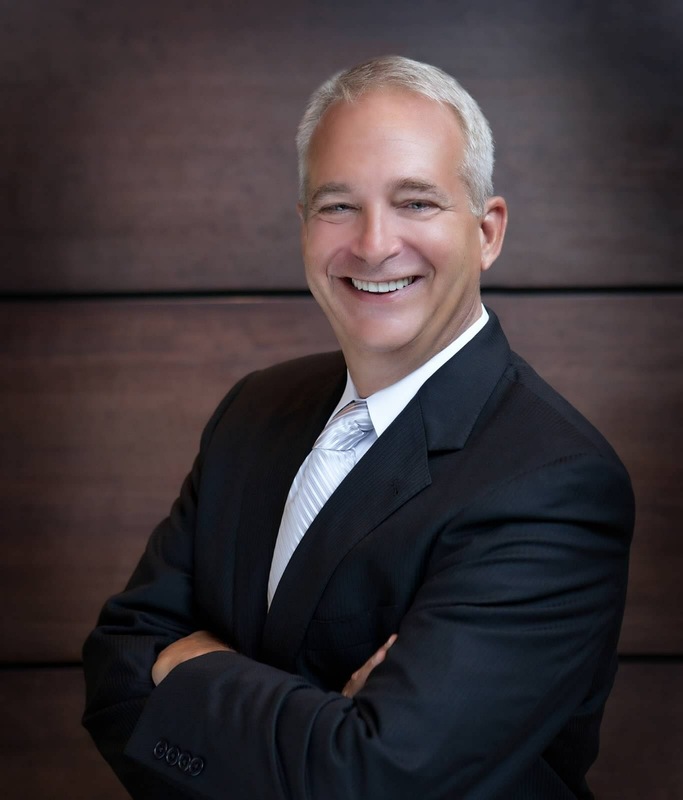 Ahead of a possible raising of interest rates, some HNW investors have taken, or are considering taking, a number of steps: paying off consumer debt (e.g., credit cards) (27%), buying real estate investments (16%), investing more money in bonds or bond funds (13%), and buying a car or other consumer discretionary goods (12%). Denver-area HNW investors tend to view higher interest rates as impacting many economic indicators in the negative direction. Half or more foresee a negative impact on housing and real estate (72%), consumer spending on “big-ticket” items (66%), cost of living (58%), the US financial markets (52%), and stocks and equities (50%). 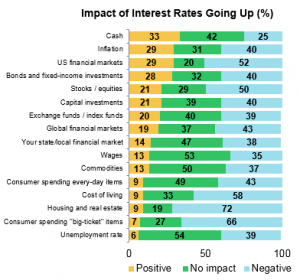 Roughly four in 10 say the same of global financial markets (43%), consumer spending on every-day items (43%), inflation (40%), and bonds and fixed-income investments (40%)—though sizable shares believe that rising interest rates would have no impact on each of these measures. 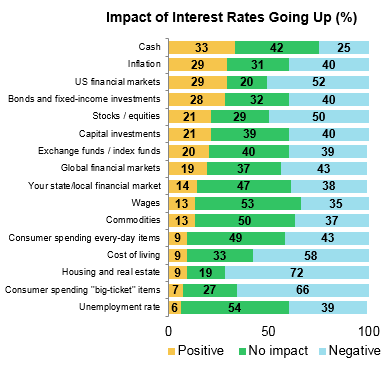 Relatedly, two in three (66%) HNW investors overall report at least some concern that current interest rates are creating a “consumer assets bubble.” However, few are “very concerned” (15%). Always remember to avoid making kneejerk changes to your portfolio and to reevaluate your overall allocation. Consider speaking to your financial advisor so you can grasp a full picture of what to expect in the event of a rate hike.